Miura, Islero, Countach, Urraco — so many Lamborghini models give you that vibrating growl and adrenaline rush that drivers expect from the brand. But the Aventador S, perhaps more than the others, seems made to race. With classic Lambo features and noticeable upgrades, the Aventador S has better aero efficiency, four-wheel steering and, most excitingly, more power. 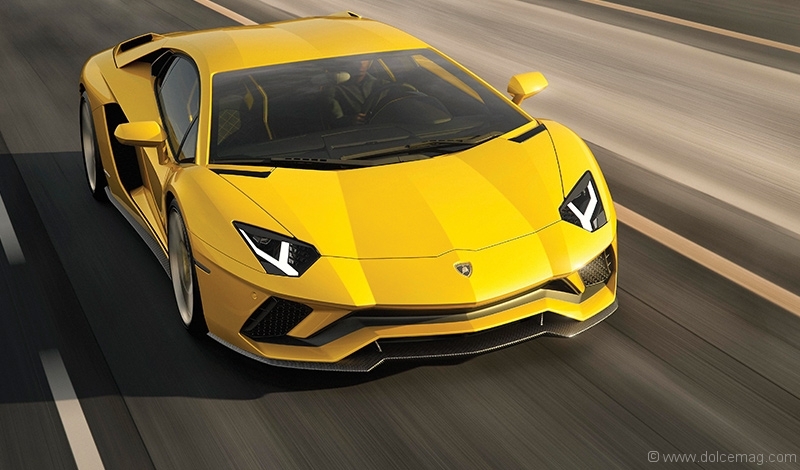 The look of this Aventador isn’t a radical departure from earlier models. It takes a close inspection to really see the modifications to the exterior. To match its newfound power, the Aventador S was given a more aggressive nose, which is no longer a body-coloured panel but a black insert shaped for the splitter. The splitter itself is longer and spreads out toward the sides of the front bumper. This redirects airflow and improves the aero efficiency while keeping the engine cooler. 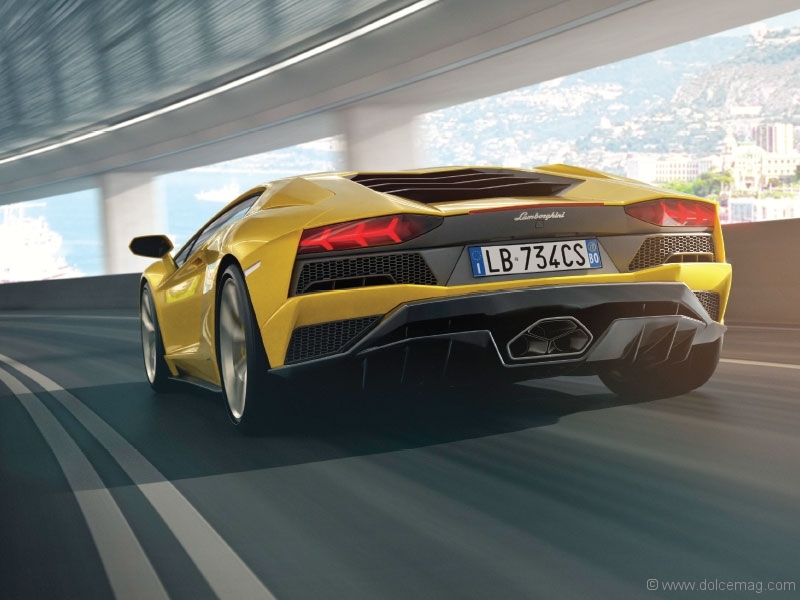 According to Lamborghini, the new design elements provide an increase of 130 per cent in front downforce. The car maker has also added a customizable all-digital dash. Of course, the display screen is a top-of-the-line TFT screen that displays different features depending on what mode you’re in. In driving mode, Apple CarPlay allows both the driver and passenger to control voice activation and entertainment from their mobile devices. This new Aventador can also be ordered with the Lamborghini telemetry system — if you’re willing to pay for it. It was created for the customer who goes to the racetrack and can record lap times, trip data and track performance — not necessarily a feature everyone needs. The Aventador S is considered an upgrade to the LP700-4. One of the biggest criticisms the LP700-4 received was its frequent understeering at the limit, a defect that is common with AWD vehicles. When that car turns a corner at a high rate of speed, the front of the vehicle travels faster than the back and the front wheels drift outward. Lamborghini decided to install a four-wheel steering system in order to solve this problem. According to the Italian brand, the new S behaves more like a rear-wheel drive vehicle, meaning that at low speeds the back wheels move in the opposite direction to the fronts, giving the car the agility of a vehicle with a shorter wheelbase. According to the iconic brand, this S model was given the same heart that beats in all Aventador models: a colossal 6.5-litre, V12 engine with a monstrous 740 horsepower that gets not only the car’s blood pumping but the driver’s too. That’s an extra 40 horsepower to release on the road compared to the older model. 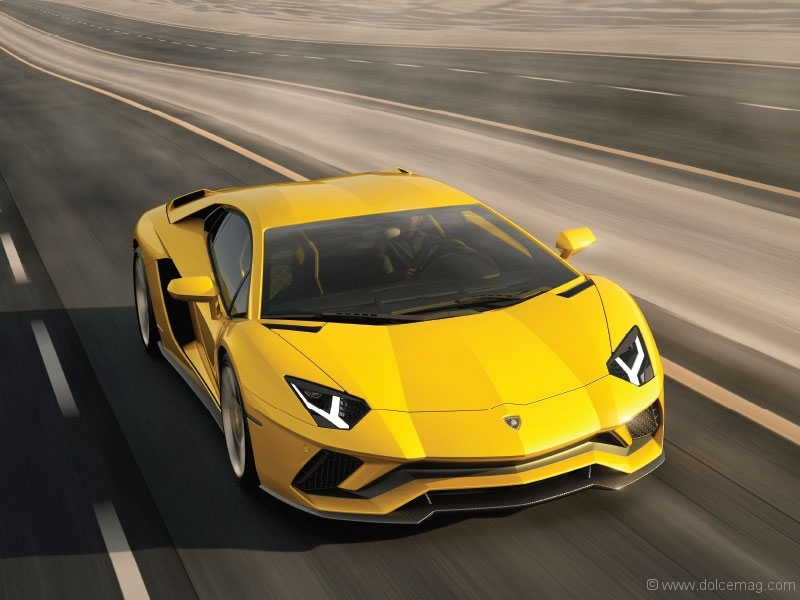 Along with 509 pound feet of torque, the Aventador S revs higher and has a more profound yet understated roar, a result of the weight-saving titanium exhaust system. However, as exhilarating as it is to gain more power, the top speed remains 217 mph and the still car goes 0 to 62 mph in 2.9 seconds. Still, the Aventador S has the heart of the already renowned Aventador, the nostalgia of some of the classic S models and many meticulous upgrades – especially the improved aerodynamism and weight-saving titanium exhaust system that perfected its purr. And even though added power didn’t give this Lambo extra speed, it will go to good use, pumping adrenaline through the veins of anyone who gets behind the wheel.